No matter if you need to pay a tax bill because you earned more than expected or had too little tax withheld from your paycheck, owing the IRS can be scary. Before you panic or start imagining calls from collectors or a wage garnishment, take a deep breath. The IRS offers options when you can’t afford to pay a tax bill. But even if you can’t pay a tax bill on time, don’t neglect to file your return by the deadline. The failure-to-file penalty is a steep 5% per month (up to a maximum of 25%) on the outstanding amount. You’ll still owe 0.5% interest each month on your balance, but that’s more affordable. When you can’t pay on time, the IRS offers a 120-day tax filing extension. There’s no setup fee and you can apply online using the IRS Free File form. You’ll pay considerably less in penalties and interest with an extension than you would with a long-term installment plan, which I’ll cover next. 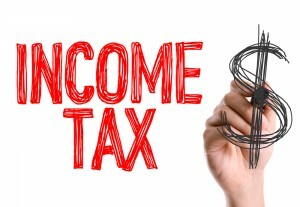 Penalties on an extension may be waived entirely if you’re unable to pay due to a hardship. If you owe less than $50,000 in combined tax, penalties, and interest, you can qualify for a long-term payment plan. You can submit an application online and get an immediate response from the IRS. The major drawback of an installment plan is the cost. You pay penalties and interest on your balance until it’s paid in full. Owing Uncle Sam can be nerve-wracking and expensive. If you can’t pay your tax bill within 120 days, you may be better off financing your taxes. Choosing a low-rate personal loan instead of an IRS installment plan can save money and give you peace of mind that the government is off your back. Prosper is a marketplace lender that offers loans for just about any reason up to $35,000. Interest starts at 5.99% APR and there is no prepayment penalty fee. You can find affordable personal loan options here. Taking on new credit card debt isn’t ideal, but if it helps you avoid expensive IRS fees, you’ll likely come out ahead. You could avoid interest altogether if you use a credit card with an interest-free introductory period, such as 12 or 15 months and pay off the card before the promotion expires. If you don’t believe that you can pay your tax bill within several years, consider making a deal with the IRS, known as an Offer in Compromise. They might accept a lump-sum payment that’s less than what you owe, if you can prove that you don’t have sufficient income or assets. If you believe your situation is extreme, use the IRS Offer in Compromise Pre-Qualifier tool to find out if you’re eligible and what an appropriate offer might be. Regardless of which payment option you choose, don’t delay your decision. Ignoring a tax bill will only lead to much larger problems down the road. To make sure you avoid a future surprise tax bill, be sure to pay the right amount of state (where applicable) and federal tax throughout the year. If you’re self-employed, a good rule of thumb is to set aside 30% of your monthly income for taxes and to make quarterly payments so you don’t have a shortfall at the end of the year. If you work for an employer, use the IRS withholding calculator to find out how much you’ll owe this year. Then double check your pay stub to make sure you have enough tax withheld. If not, submit an updated W-4 at any time during the year.